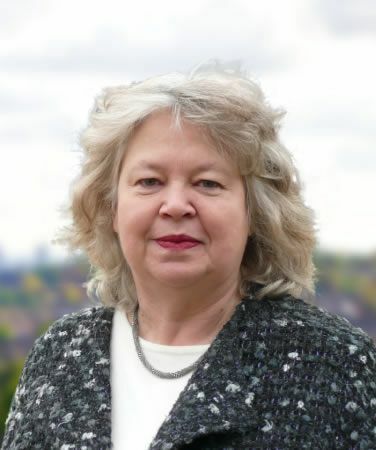 Jean Lambert MEP: When it comes to discussing human rights, age is often overlooked – "The Europe we want is for all ages"
The run up to the European elections has unfortunately been dominated by negative discussions about immigration and free movement. As harsh austerity measures bring service cuts and reduced living standards, there are calls to pull out of Europe altogether, and scapegoat those from other EU countries for the poverty people face. Yet in reality the right to work or retire elsewhere in Europe is one of the many benefits of the EU – enjoyed by 1.8 million British citizens, including 400,000 on state pensions. The polarisation of the debate leads to many of the cross-border issues we are facing – where working together in the European Parliament is really making a difference – being overlooked. Chief amongst these is the need to build a more age friendly society. For those of us committed to a social Europe, there is everything to play for in this election. Rather than rebuilding barriers between citizens, ending discrimination is one of the keys to creating a positive, sustainable future for Europe – and this includes tackling age related discrimination and stereotypes. With over 150 million senior citizens in Europe, and the proportion of the population over 50 on the rise, this is an immensely diverse group of people – and the business case for age diversity at work is a strong one – yet so many still face discrimination in the workplace. Instead of boxing people off into different age groups, we must work together to make the most of our collective talents – across cultural, gender and generational divides. The European Parliament can lead the way in bringing about cultural change – and continues to have an important role to play in driving forward legislative changes needed to help tackle age discrimination. This includes the draft Directive on implementing the principle of equal treatment – first proposed by the Commission in 2008, which has been languishing in the long grass for too long. Part of building an age friendly Europe means making sure older people are involved in the research and development of policy that affects them. As a member of the European Parliament’s Intergroup on Ageing and Intergenerational Solidarity, I’m committed to promoting the interests of all ages in the European Parliament, and increasing participation of citizens from all walks of life in the democratic process. The more involved people are, the easier it is to tackle the challenges and fight for a fairer society. When it comes to discussing human rights, age is often overlooked, but the right for all citizens to live with respect and dignity, free from poverty, is something we cannot take for granted. This has never been truer than in this age of austerity when many older people are struggling with rising costs of food and energy, and cuts damage many of our important social protections. The EU has a role in establishing the right of all citizens to an adequate, safe and sustainable pension, wherever in Europe they choose to live. Last term, as a member of the Employment and Social Affairs Committee, I wrote a report on access to care services in a time of crisis, which had a particular focus on the impact of austerity measures on vulnerable groups. The report included a raft of proposals to ensure care is not a victim of the cuts – including anti-discrimination measures, better dialogue between governments and care providers, and plans for an EU Directive on carer’s leave to ensure the crucial role of the ‘friends and relatives army’ is recognised. I’m pleased to say the European Parliament backed the report, sending a clear message to the Commission to be taken forward next term. There are a lot of challenges ahead for Europe – but these are issues which know no borders and rather than pulling back, we need to move forward in solidarity and build a positive, social Europe where all citizens are treated with equal respect. I fully support the aims of the AGE Manifesto for the European Parliament elections 2014 and hope to help take forward these aims next term.